TV with Thinus: BREAKING. 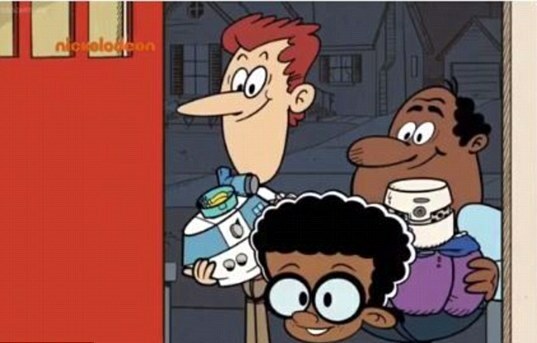 Kenya abruptly bans 6 'pro-gay' kids cartoons on Nickelodeon and Cartoon Network that are allegedly 'glorifying homosexual behaviour'. BREAKING. Kenya abruptly bans 6 'pro-gay' kids cartoons on Nickelodeon and Cartoon Network that are allegedly 'glorifying homosexual behaviour'. Kenya's censors have abruptly banned 6 alleged "pro-gay" kids cartoons on Nickelodeon (DStv 305) and Cartoon Network (DStv 301) and ordered MultiChoice to immediately stop showing these cartoons on DStv that is "normalising, glamorising or even glorifying homosexual behaviour" and damaging "family". ALSO READ: Here's the ridiculous reasons Kenya's censors gave for banning the 7 cartoons. The crux is that VIMN Africa, Turner Broadcasting and MultiChoice can't remove these shows from the channels for just Kenya, and that Nickelodeon, Cartoon Network and DStv are in the content and entertainment providing business - not the censorship and taking content away business. MultiChoice Africa in a quick response to a media enquiry on Thursday afternoon following the KFCB banning decision, told TVwithThinus that it can't yet comment on the details but that the pay-TV provider learnt of the existence of from the KFCB letter and that MultiChoice Africa is "currently investigating the matters raised in the letter". Turner Broadcasting EMEA responsible for the Cartoon Network channel in a statement in response to a media enquiry, tells TVwithThinus "inclusivity is core to our values and this is evident across many of our shows and characters". So far the Kenya Film Classification Board (KFCB) and the KFCB CEO Ezekiel Mutua have not responded to emailed media enquiries about the KFCB's decision to ban the 6 cartoons. The KFCB and Ezekiel Mutua was asked how it derived at the cause for the ban of each of the 6 cartoons listed - especially given that some of the shows ended in 2014 already - and that some contain no on-screen offensive content. The KFCB was also asked what the KFCB's definition of "family" is and when this definition was decided upon. The KFCB was asked why the Kenya Film Classification Board outright bans content if it says its a "classification board", and at what period the KFCB saw the 6 cartoons, since some haven't been broadcast on the various DStv channels currently or recently. In May 2016 NBCUniversal International Networks was forced to pull the second season of I Am Cait, a reality show about the transgendered Caitlyn Jenner – formerly known as Bruce Jenner - from E! Entertainment making it unavailable for the entire Africa, after complaints and a DStv TV-ban in Nigeria. In October 2015 Discovery Networks International was forced to censor and remove the transgendered teen docu-series I Am Jazz from TLC Entertainment from the channel carried on DStv across the entire Africa just before it was to begin broadcast, following censorship in Nigeria. M-Net that has regionalised channel feeds for South, East and West Africa has been altering and self-censoring its East and West channel feeds for M-Net (DStv 101), the now shuttered M-Net Edge, and its other M-Net packaged channels by keeping controversial shows like American Gods away from East and West Africa and not programming the transsexual model agency reality show, Strut on its version of the VUZU AMP channel outside of South Africa.